Keeps the stock wheelbase when installed with the MM k-member by retaining the ball-joint's stock fore/aft location. For use with MM k-member. Not for stock k-members. Removes nearly 40 pounds with the combination of these control arms, k-member, and coil-over conversion. Quickens steering response by reducing bushing deflection. 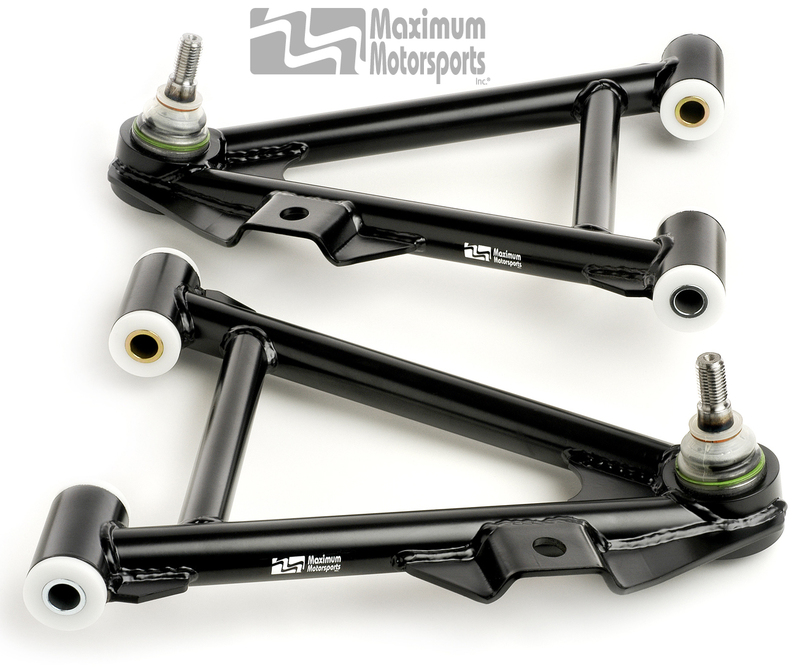 Click on the Tech Info button below for much more technical information about MM Front Control Arms. For easy selection of all parts required for installation, choose a complete k-member package.